Thanks again for stopping by. Here is my second post for today. I just had to get these challenges in before they expired. I wanted to enter them earlier, but you know how it is when the cards you want to use just are not right (of course in my mind). Needless to say I have a couple of cards that I can use at a later date. Hopefully you enjoy this card. Comments are welcome. Enjoy and GOD Bless! Love this! I really like the black and white. Very pretty! 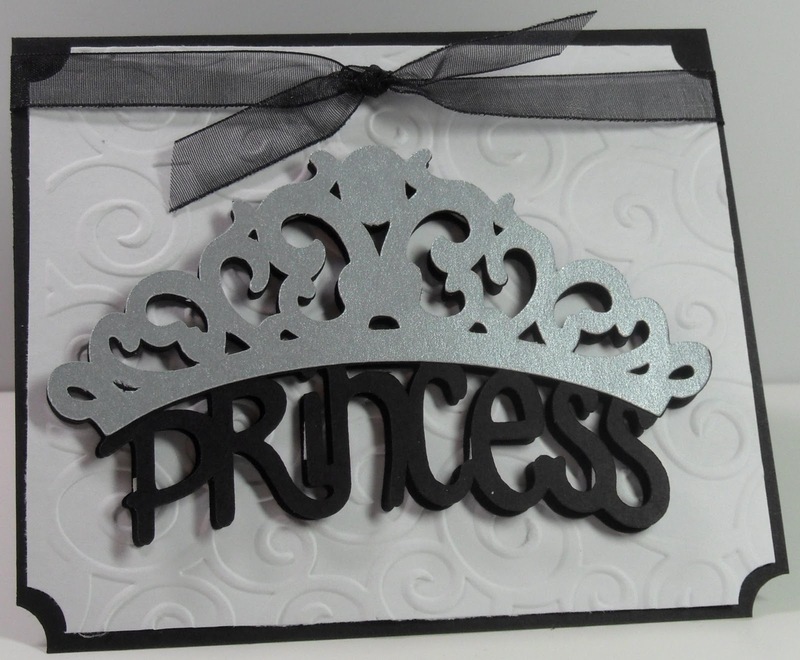 Beautiful black & white card! Your card looks beautiful and elegant. Love that card! The crown rocks! but that's why they call it a challenge! yours is perfect and you did a great job. I love the embossing too! Your card is beautiful. I'm new at card crafting, and have a blast! Thanks for visiting My Card Life. Good Luck to you too. I think your card is so sweet... it is very elegant. Gorgeous.... I wish you the best of luck...you deserve to win.. I love your work. This is great! Love the colors and fab embossing! This is ROYALLY BEAUTIFUL! Sorry I couldn't help using the pun! :) LOL! I love this! So lovely! Good luck to you :0)...(I hope you win) Have blessed day! This card is so pretty! And I want to thank you for your continued support and leaving me messages they really make me feel good and like someone is out there looking, so thank you so very much! This card is just lovely! 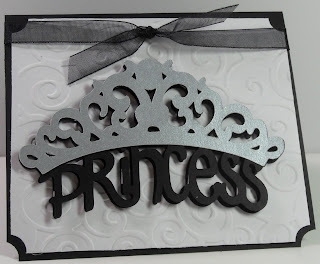 Those colors look so elegant together and the embossing is just the right touch! Very elegant!! I like the embossing on the background! WOW THAT IS VERY ELEGANT. perfect use of black and grey color with artistic ribbon work.